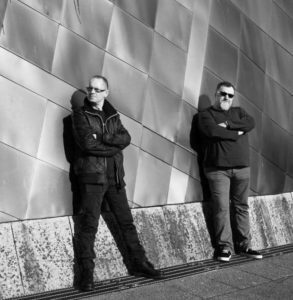 Returning to London on SATURDAY 2ND MARCH 2019 to open TEC005 will be Glaswegian synthpop duo RAINLAND. Having accompanied ASSEMBLAGE 23 on two UK tours, their rousing stage manner make them perfect as cheerleaders to begin any live presentation. 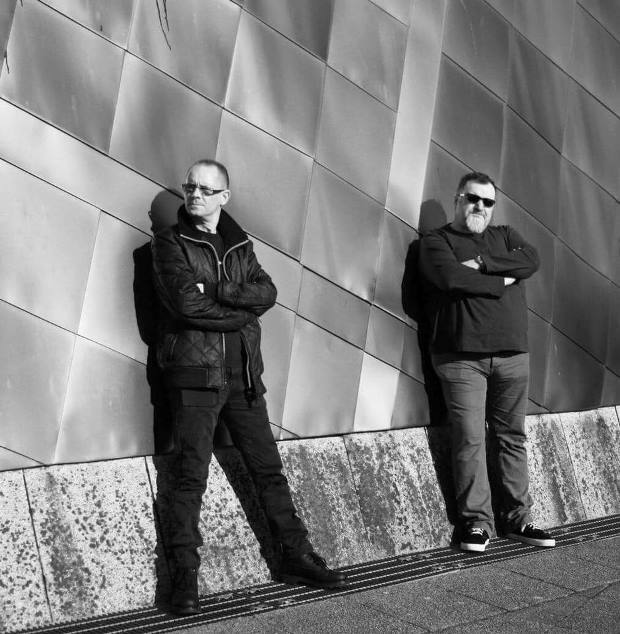 Although RAINLAND have so far only one EP ‘Touch’ to their name, Ian Ferguson and Derek MacDonald are experienced hands having been the musical lynchpins of their previous band ANALOG ANGEL, best known for songs such as ‘We Won’t Walk Away’ and ‘Drive’. 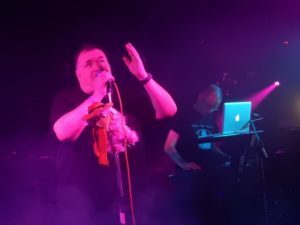 Settling into a two piece set-up has been straightforward with Ferguson having already proved himself a worthy vocalist on a number of ANALOG ANGEL tunes, while MacDonald has had more of a free rein to explore his purer synthpop fantasies. RAINLAND seems more relaxed than ANALOG ANGEL, how’s it been to free of its industrial shackles? Ian: When we started, we didn’t have many outlets for us to play live and that’s what we always wanted to do so we were ‘tarred’ with the industrial brush as those were the bands we played with or supported. Del: I don’t think we ever really were. The first two albums had an industrial edge but they were still songs based. Ian: That whole ‘scene’ has turned into a bit of a parody of itself, which the synth scene has a danger of doing too. Never understood why, it was more style over substance. Del: The whole dressed like a Nazi shouting “DAS!” covered in dog sh*te, you’re from Doncaster FFS! Ian: I would say it’s been liberating doing the RAINLAND stuff. Del: Exactly, I was always more into YMO who as we know are as industrial as f*ck! So how has the creative dynamic and attitude changed working as a duo? Ian: There are half as many people to satisfy, so the voting process as to what does and doesn’t make the cut is simpler. Ian: It’s an interesting question as our attitude hasn’t changed but we can use more expansive soundscapes now, things like harmonies for example which is a big thing. Del: We couldn’t do that in AA as we weren’t the singers, so didn’t carry that part of the song and melody. Ian: Yeah, but could you imagine folk from ‘the scene’ going to see for example CAMEL or URIAH HEAP who are both in the diary for later in the year? Ian: I had the chorus part kicking around for a long time and never developed it beyond a few scribbled notes. At that point it was called ‘Homeland’… it’s played on a synth called Dune and the opening sequence developed from working with that software. I married it to a piano part from my Work in Progress folder called ‘Keane Thing’. The lyric came together walking along the marina in Ipswich on my way to work. Del: We both have large WIP folders on our hard drives! 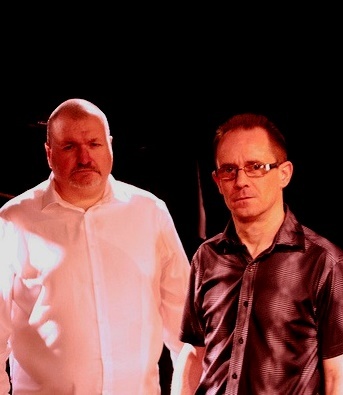 Vocally and musically, ‘Rainland’ appears to have overtones of ULTRAVOX? 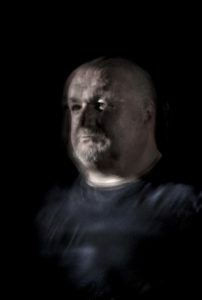 Ian: I’m Scottish, I’m from Glasgow and anyone that knows me knows I’m a massive ULTRAVOX and Midge Ure fan, they are my favourite band from that Synth Britannia era so that’s all going to rub off on me. I’m either going to sound like Midge or one of THE PROCLAIMERS! Ian: That’s not gonna happen!!! Del: Talking of Midge and THE PROCLAIMERS, we have performed songs from both live in the past! It’s that whole thing about melody and big sounds. Ian: Yeah you listen to the late Foxx / early Ure ULTRAVOX and it’s very simple, the playing is great but there’s a lot of space and we try to replicate that. ‘Touch’ seems to have a nod towards BRONSKI BEAT maybe? Ian: That’s your area Del! Del: BRONSKI BEAT?? You mean the melody? Del: I did like ‘Smalltown Boy’, but thought the rest of the songs were pish…. Sorry! Ian: Oh well maybe not then! ‘Silverlight’ featuring lyrics by poet and novelist Ange Chan started off as an ANALOG ANGEL number? Ian: Yeah but it really works. It’s a f*cker to sing live though which is why it tends to be early in the set! Cos it’s got a weird structure! Del: To get it out the way! It would be good if Ange would write some more stuff. Ian: Yeah she has an unusual lyrical touch. ‘The Light Of The Sun’ showcases some engaging uptempo synthpop songcraft? Del: Another one written for AA during the ‘Four Front’ album sessions which didn’t make the final release. Del: It’s a great song though, lots of melody. Synthpop is pop music using synthesizers, not a by-word for fluff… discuss! 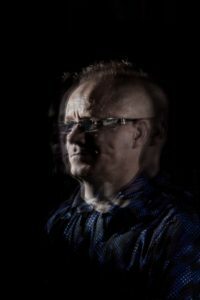 Del: Synthpop… electronic music in general, it depends how you look at it, can be viewed that way, but that’s the same as any genre. Ian: I think there’s still a lot of sniffiness, even 40 years after the whole Musician’s Union campaign about synths from certain people. It’s nonsense… is a Billy Currie ARP solo any less exciting or musical than an Eric Clapton or Dave Gilmour guitar solo? Del: Something like ‘There She Goes’ by THE LA’S is fluff, it’s no ‘Stanlow’ or ‘Statues’! What do you think about the current state of modern electronic pop at the moment? Do you have any interest in Synthwave for example? Ian: Yeah, THE VAN DAMMAGE and ELECTRIC DRAGON… Michael Oakley and FM-84, though that’s a Scottish thing. Synthwave is trying to capture something that didn’t really exist back in the day. Del: Barry Douglas, our friend from Glasgow, is a massive supporter of the Synthwave scene so we have seen a lot of those bands that have gone on to big things on that scene, he gave many of them their first UK gigs so I guess it’s his fault! Are there any new acts you’ve encountered in the last 12 months that you would recommend to look out for? Ian and Del together: WITCH OF THE VALE! Ian: They really are the ones that stand out… they have a certain something that stands them apart. Del: Erin and Ryan are great, yeah! Ian: The new Michael Oakley stuff and FORM. Del: For me it’s all the classic bands… The last BLANCMANGE album was brilliant. Ian: I tend not to listen to a lot of synthesizer specific music TBH. Ian: It’s like being on a school outing with those guys, we pile into a bus, point it down the motorway. Del: And rip the piss out of one another for the duration. Ian: You’ve seen him dancing, nobody wants that! 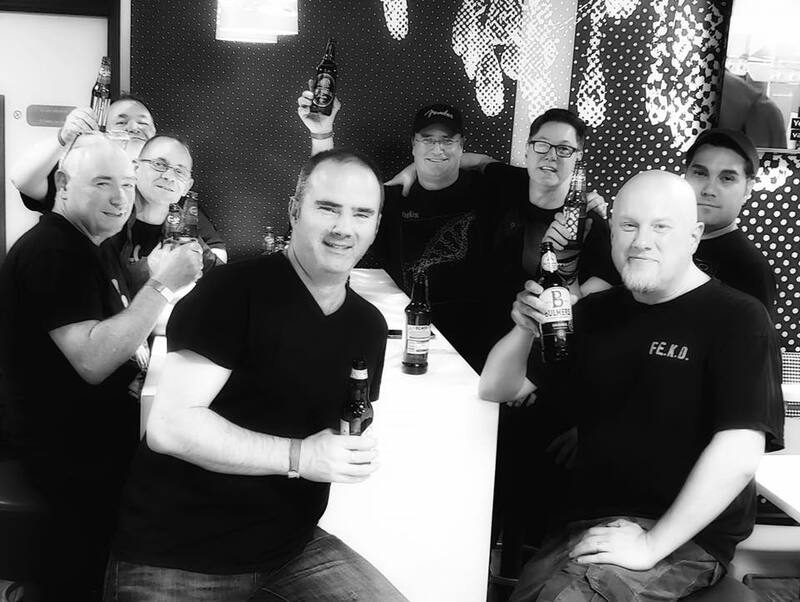 How do you think RAINLAND went down with the ASSEMBLAGE 23 crowd? Ian: We didn’t get bottled off stage so that’s a plus… Our job was as support, which used to be called the warm-up act and I’d like to think we did that. I’ve seen so many bands play those slots, not interact with the audience and then f*ck off after the show, that’s not your job! 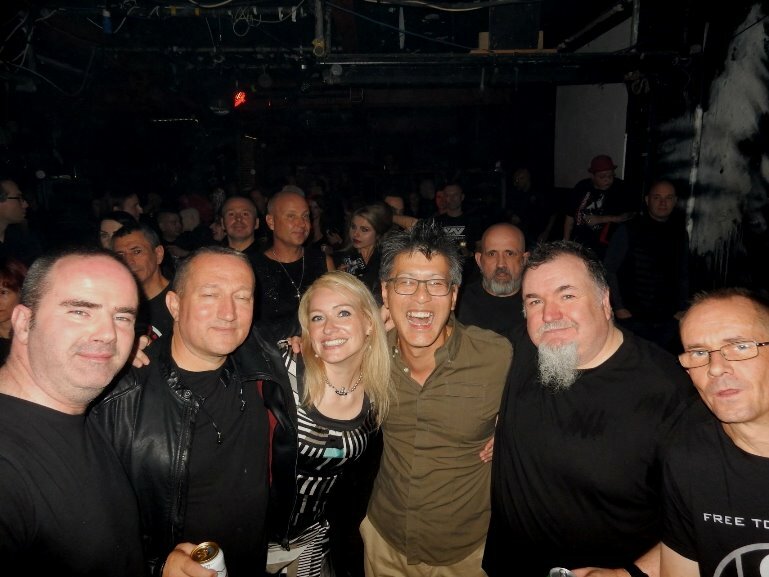 Del: The crowd appeared to enjoy it, we seem to be a good fit for the band and have been told our music works well in that line-up by people after the show, so all good. 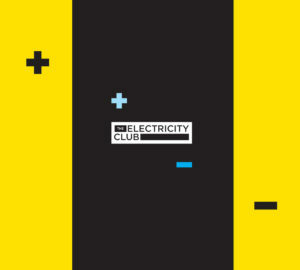 You’re playing TEC005 with ARTHUR & MARTHA and PLASMIC, what can punters expect who have not seen or heard of you before? Ian: We are opening the event, working with TEC has been a long time coming. Hopefully we will start the show as we all mean to go on. Del: We always like playing in London, come and buy us a beer! 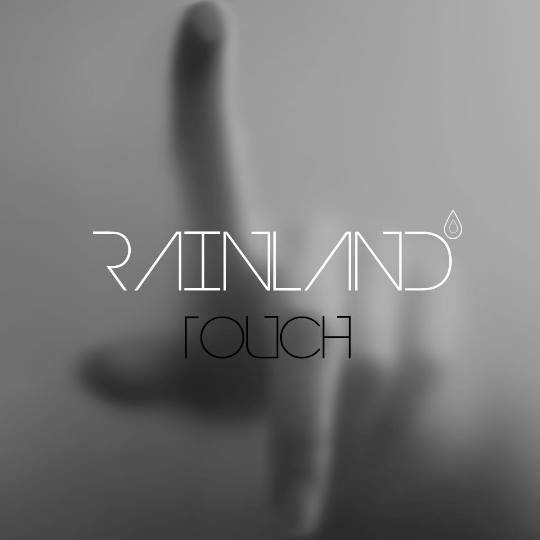 What’s next for RAINLAND, is there a follow-up EP to ‘Touch’ in the works? Ian: RAINLAND is a hobby, we released ‘Touch’ in 2017 and then life got in the way and I ended up going abroad to work for a year which is why things have been slow. We don’t have any delusions of being superstar musicians… if as a 50-something you aren’t a successful, million selling songwriter / artist already guess what, you’re probably not going to be a million selling songwriter/artist! Del: We do have another EP written, just need to get all our diaries to align especially with Phil. We hope to showcase some new material on the TEC005 show though as it is ready to play live. Ian: Just playing it by ear… we have a couple of other gigs lined up to be announced which are exciting. Del: Just looking forward to seeing everyone at the TEC show. Ian: Exactly, we will see you soon!